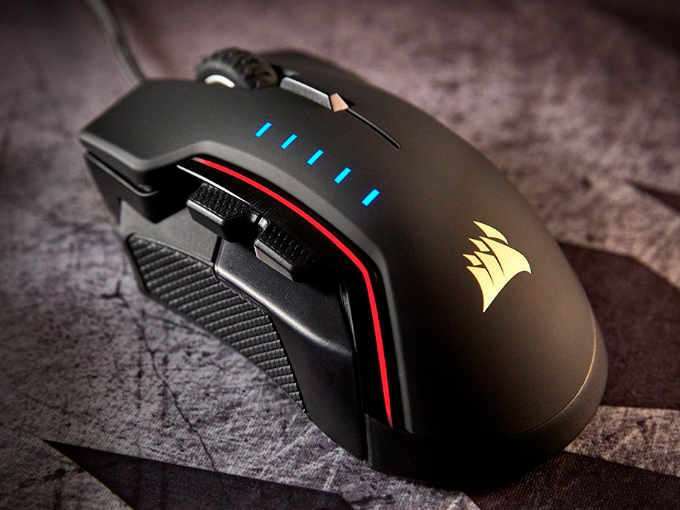 This month Corsair have unveiled their latest gaming mouse which takes the form of the Corsair GLAIVE RGB which has been designed to provide ultrafast response and is equipped with an optimised sensor to offer precision and a “surface calibration tuning utility”. Check out the video below to learn more about this new gaming mouse which is equipped with a 16,000 DPI optical sensor offering native 16,000 DPI resolution that is settable to 1 DPI steps. • Contoured shape: Designed so you can game longer without fatigue. • Custom, gaming grade 16,000 DPI optical sensor: Ultra-accurate and high-speed tracking engine. Native 16,000 DPI resolution, settable to 1 DPI steps, can be custom tuned to virtually any type of mouse pad. • Interchangeable thumb grips: Choose between three thumb grip styles for a tailored fit. • Onboard profile storage: Saves lighting effects, macros and DPI settings for universal access to your profile on any PC, without the need for drivers or additional software. • High-performance Omron switches rated for 50 million clicks: Custom tuned for gaming, providing an ultrafast response and reliability over time. • Dynamic multicolor three-zone backlighting: Customizable RGB backlighting immerses you in the game by providing nearly unlimited lighting adjustability. • Aluminum scroll wheel with rubber grip: Ensures solid response and accuracy. • Ultrafast 1ms lag-free gameplay: Supports up to 1000Hz/1ms refresh rate for a near instant response to your movements. For more information on the new Corsair GLAIVE RGB jump over to the official website for details by following the link below.